The ICANN-process for the introduction of New Top Level Domains is continuing. The registry of the Reisen-Domains has set the 20th of May 2014 as the beginning of the sunrise period. Interested parties for the sunrise period have to register at the trademark clearinghouse . 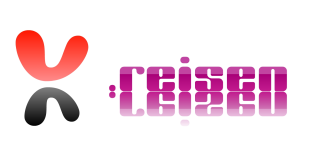 You can pre-register here your name at the Reisen-domain. The pre-registration is free, but compulsory. If we successfully register your domain, you will have to pay the domain fee of 60 US-Dollars. In the sunrise period a further participation fee of 120 US-Dollars for each application has to be paid in advance. If your target group of your travel offers lives in Germany, Austria and/or Switzerland, then the Reisen-Domain is the domain of your choice. We provide a couple hundreds new top level domains for pre-registration. I permit the debit entry of the sum according to SEPA. PReisen send the contract to me, if we have not already one.